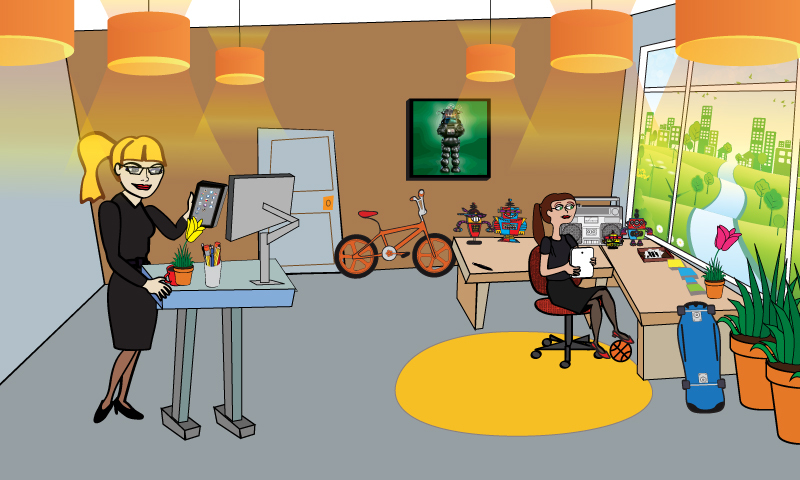 Are You Struggling to Find Happiness or Fulfillment At Work? Do you struggle to remember a time when you loved, or even enjoyed, your job? 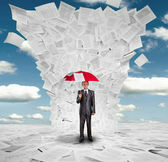 Is it difficult to stay interested or stimulated with your day-to-day tasks? Are you worried that others think you’re lazy or not working hard enough? Do you wish you could feel confident and satisfied in your work? Work problems like these are extremely common in our society, with the challenges only increasing for individuals who have been diagnosed with ADHD. Many highly qualified professionals, from engineers to attorneys to entrepreneurs, are not completely happy with their career. Others don’t mind their profession, but may not have realized how much effort they put into the “boring” parts of their job that require skills they struggle with, like planning and organization. You know you are intelligent and capable, but you just aren’t able to feel satisfied, fulfilled or successful at your job. You may not be sure how to solve the problem, so you move between jobs every year or two, unable to find one that you feel is a good match. Or you impulsively accept a new position thinking it will make a difference, only to find yourself feeling bored and disinterested over time. 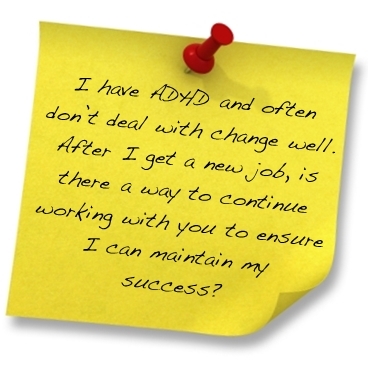 The challenge you face is that your ADHD has likely contributed to issues that cause you to feel overworked and undervalued. The decision to change careers is a tough one that can leave you feeling unsure about how you can or should proceed. The good news is career coaching can help you understand what you want and need in a job and how to begin working toward your ideal career. 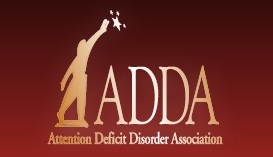 Career Coaching can be an invaluable resource for individuals with ADHD. It can help you find the job you desire without falling into the same potholes that have limited your work satisfaction and success in the past. Right now, you may not know what environment is most suitable to your productivity, leading to inconsistent work performance, “job hopping” or dissatisfaction in your career. Or perhaps you know you are qualified for a position, but you lack the self-confidence to sell yourself in – or even go in for – the interview. I can help guide you through all of the steps you will need to take when looking for a job, accompanying you in your life-changing journey to a more satisfying career. 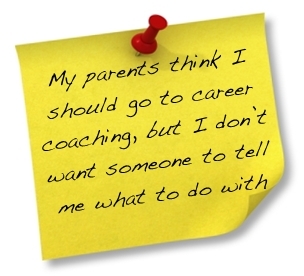 As your coach, my job is to make sure you achieve your career goals. I use an honest and sincere approach, offering tailor-made tips, techniques and strategies in a compassionate, supportive environment where you can feel safe exploring your career challenges and goals. By focusing on your strengths, rather than pushing to combat areas of weakness, you can learn to address and work around the problems and pitfalls you have faced in your professional life. In the beginning of our work together, we will complete a series of assessments designed to help you better understand your personality and professional skills and habits. With new career resources and a deeper awareness of your challenges and strengths, you will be able to identify specific industries and jobs that match your personality, strengths, values and passions. As our work continues, we will discuss the pros and cons of each position as well as develop a suitable resume and prepare for job interviews. In career coaching sessions, we’ll also focus on managing the dreaded “office politics” through a variety of approaches, including communication techniques and effective social skills. After an average of 8-10 sessions, you will have the tools you need to better understand yourself and what kind of career is a good match for you. When you are clear about the job description, industry trends and the strategies available for finding and pursuing a desired position, you can feel confident that you will find a job that fits your personal and professional goals and needs. You can learn how to write an effective resume, prepare for and go through the interview and feel empowered throughout your career. I take a systematic approach that has proven effective in helping countless individuals find satisfying careers. 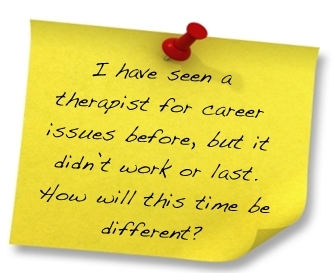 Using hands-on, action-oriented work in sessions, you can learn to recognize and address your career challenges in a completely different way than traditional therapy.Absolutely. 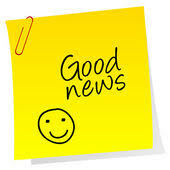 We can continue working together during your employment. Finding a job that fits you is a significant step in feeling happier, more fulfilled and successful in your career. However, after you obtain a position you love, you may begin to worry about your ability to excel in your new work environment. As a certified executive coach – as well as an ADHD coach – I understand the unique challenges individuals with ADHD face in the workplace. I have helped hundreds of professionals address and learn to manage their executive function issues and relationship challenges. I can provide the support you need to feel confident and be successful in your new position. 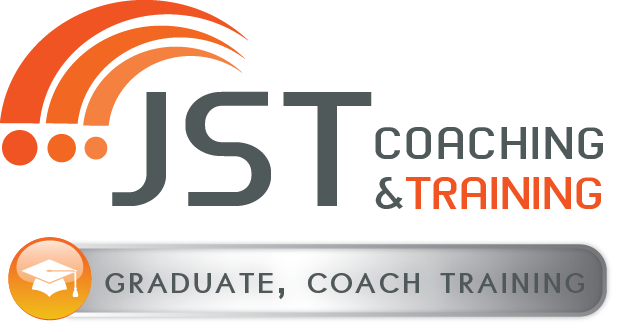 Throughout our time working together in career coaching, I am going to help you make your own decisions about the career and job that you want to choose for yourself. Whatever your reason is for seeking coaching, my focus is on helping you achieve your personal growth and career goals. Absolutely. We can continue working together during your employment. Finding a job that fits you is a significant step in feeling happier, more fulfilled and successful in your career. However, after you obtain a position you love, you may begin to worry about your ability to excel in your new work environment. As a certified executive coach – as well as an ADHD coach – I understand the unique challenges individuals with ADHD face in the workplace. I have helped hundreds of professionals address and learn to manage their executive function issues and relationship challenges. I can provide the support you need to feel confident and be successful in your new position. If you are ready to take control of your career, or if you would like to know more about career coaching, I encourage you to call me at 858-334-8584 for a free 15-minute phone consultation.